If you’re like me and you love collecting recipes, it might be time to go through them and create some sort of system. 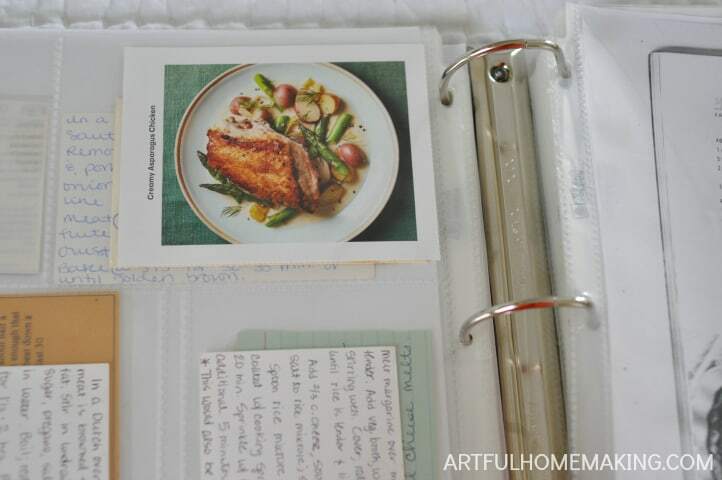 Here’s one idea for how to organize recipes. Oh, I just love recipes. In fact, I collect them. I pin them and print them and keep the ones scribbled down on cute recipe cards and passed down from grandmas and aunts and friends. Ever since I learned how to cook in my teen years, I’ve had a fascination with recipes. I don’t think I’ll ever be a “paperless organization” type of girl. For some reason I just enjoy paper, and holding something tangible in my hand. I like the idea of minimalism and less clutter, but I just can’t get rid of all the paper. But I did need to do something about my recipes. 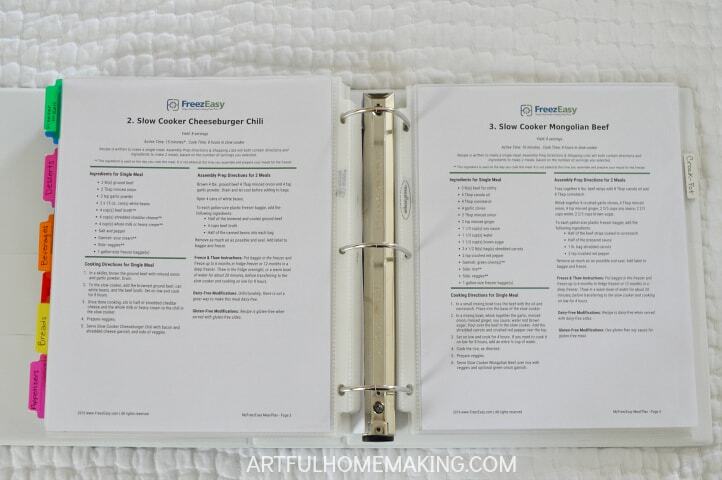 Even though I’ve made several cookbook binders through the years, and most of my recipes were in binders already, I decided to consolidate them all into one big binder. And did you notice that my binder has our name on it? I came across a 40% off sale here and decided it was the perfect time to get my recipes in order. I love that it’s personalized and washable! 1. First, gather your supplies. I already had everything except the binder, so that made this project fairly simple. 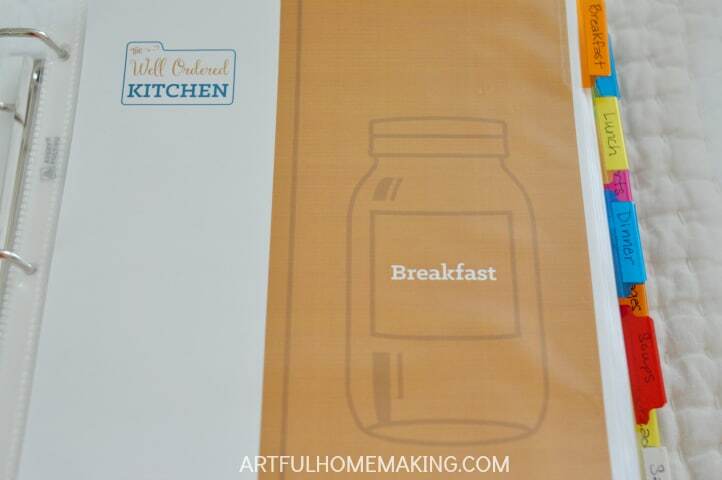 The only thing I needed to do in preparation was to print off the Well-Ordered Kitchen printables I was planning to use. 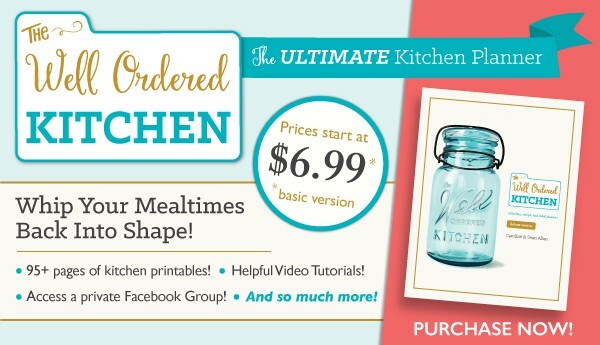 I love this collection of kitchen printables! 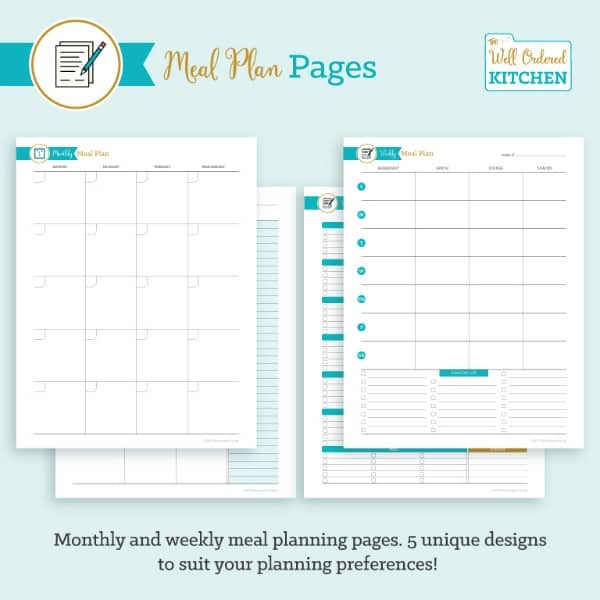 It’s perfect for organizing your recipes and it’s also helpful for meal planning and pantry organization! 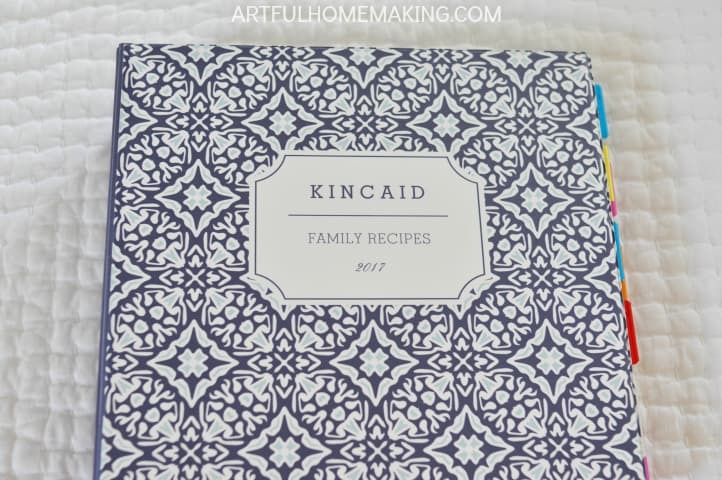 This includes full-size pages printed from websites, traditional recipe cards, and pages torn from magazines. 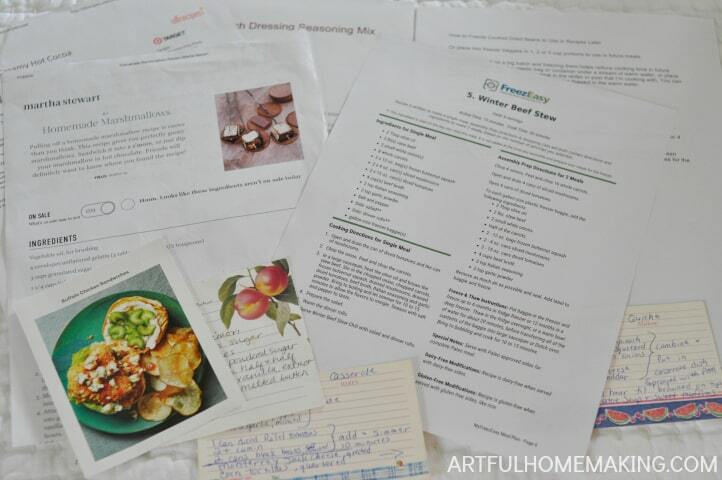 I wanted everything to be in one place to help with meal planning, so I even photocopied the recipes I use on a regular basis and put those in the binder. 3. Put everything in the binder. This part is the most fun. After printing the category divider pages onto cardstock, I slipped each one into a sheet protector. Then I added the index tabs to the side of each sheet protector. 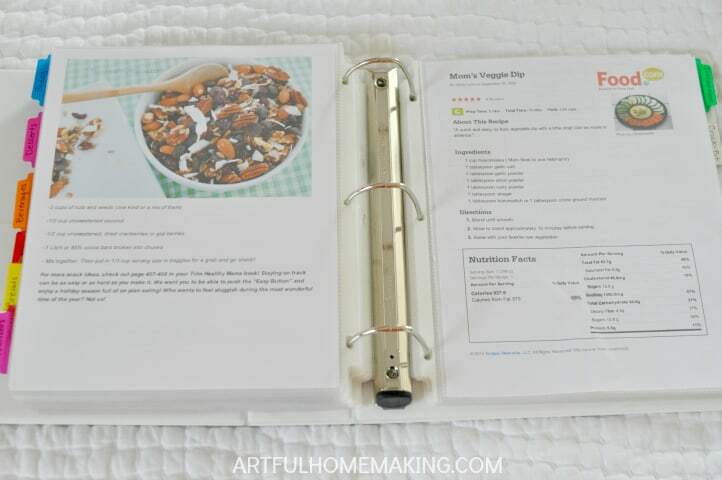 I use the 4×6 photo pages for the recipe cards. Just slip each one into a pocket and you’re done! 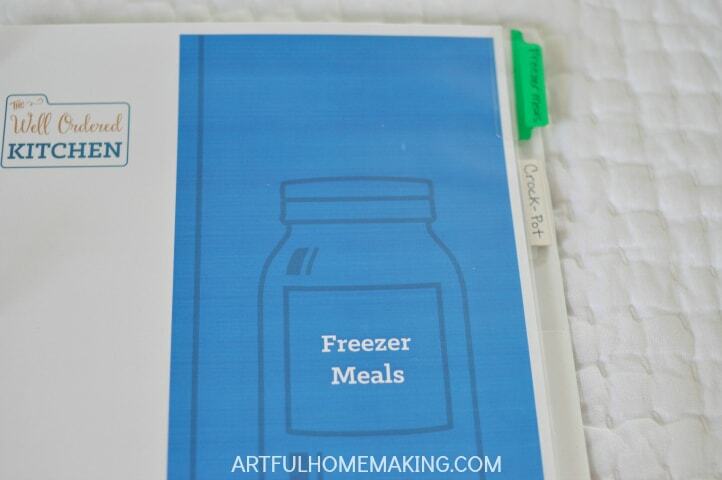 I love having a section for freezer meals and slow cooker recipes. I enjoy cooking for the freezer whenever I have time (and my favorite source for freezer recipes is the MyFreezEasy plan—check it out here!). In the front I have a list of family favorite meals (I’m still adding to that), menu planning forms, pantry and freezer inventory, and grocery list sheets (from The Well-Planned Kitchen). Since I put all of my recipes in this one binder, it is thick. 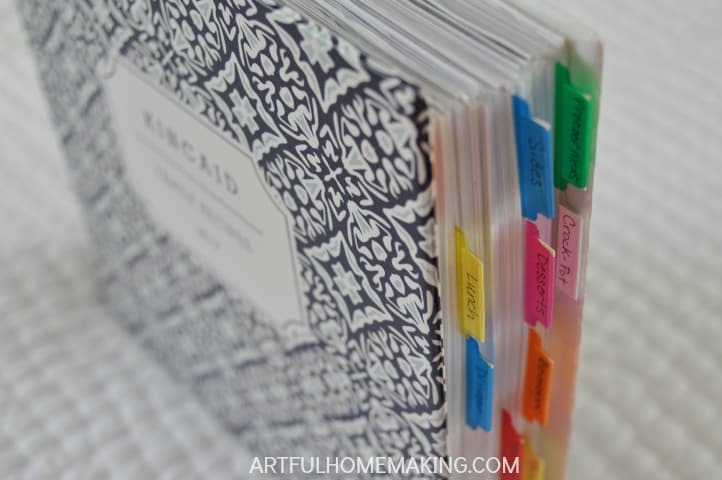 The 2″ binder size was perfect for this project. Ahh, another one of my 2017 goals accomplished! 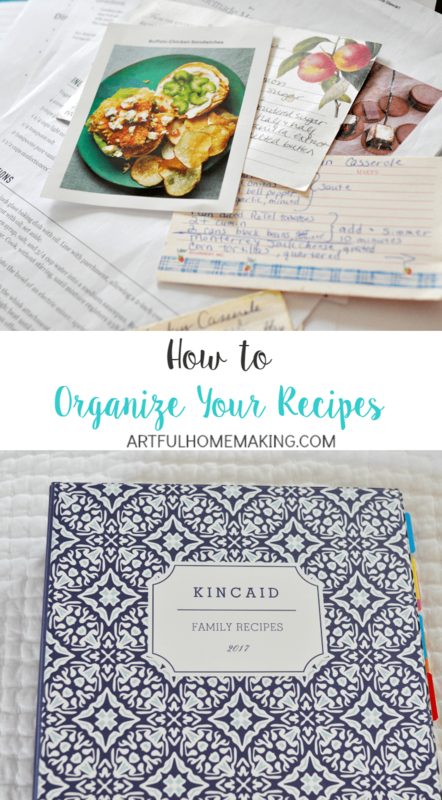 How do you organize your recipes? 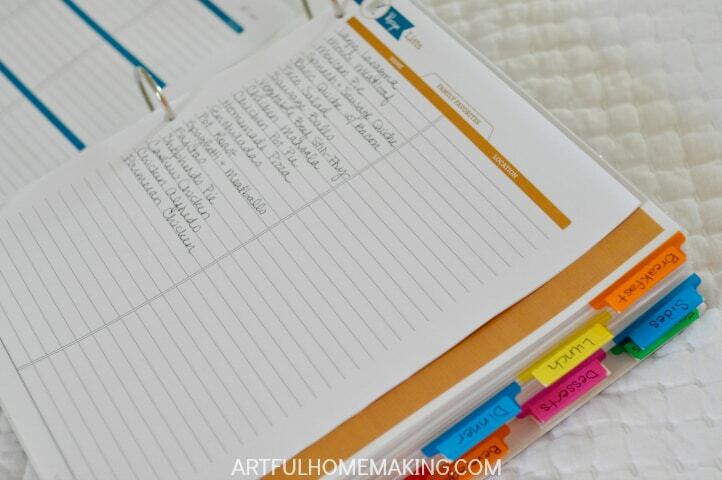 Do you prefer paper or digital organizing? This post contains affiliate links. Read my full disclosure. Sharing here. I have so many things I keep saying I should organize into binders. I love the custom one you had made. Oh, I do the same thing—there are just so many papers that always need to be organized! Thanks so much for stopping by, Bonnie! Oh, I love this post to bits!! I love cooking and have recipes all over the place and was saying to my husband just over the Christmas break I need to get some organisation with all of my recipes!! Your post sure has inspired to get my self into gear!! Thank you for sharing your awesome recipe organisation tips with us over at Waste Not Wednesday! I feel pretty organized, and yet you’ve given me some new fun ideas. Thank you so much! We’ve decided to feature this post on the Homestead Blog Hop tomorrow. Congratulations! We hope to see more! Thanks so much for the feature, Kelly! What a great way to organise recipes! 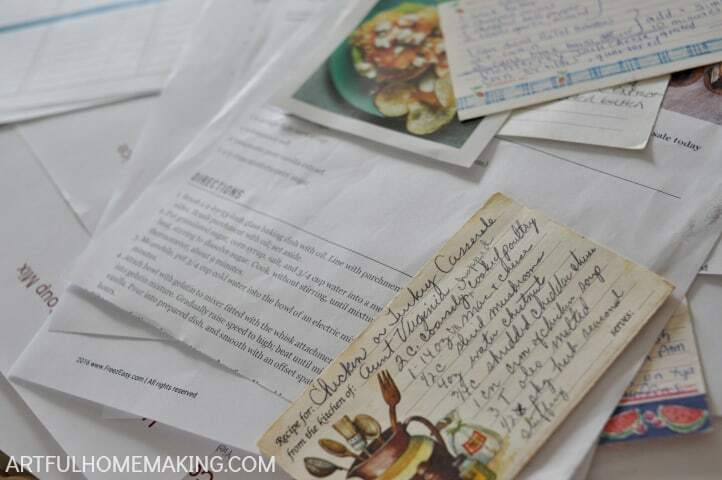 I treasure my late Mom’s recipe box full of handwritten recipe cards as well as recipe books that belonged to both Mom and Dad. This looks like a great system though and I’m sure it could be very, very helpful. Thank you for sharing with us at Hearth and Soul! That looks like a great system! 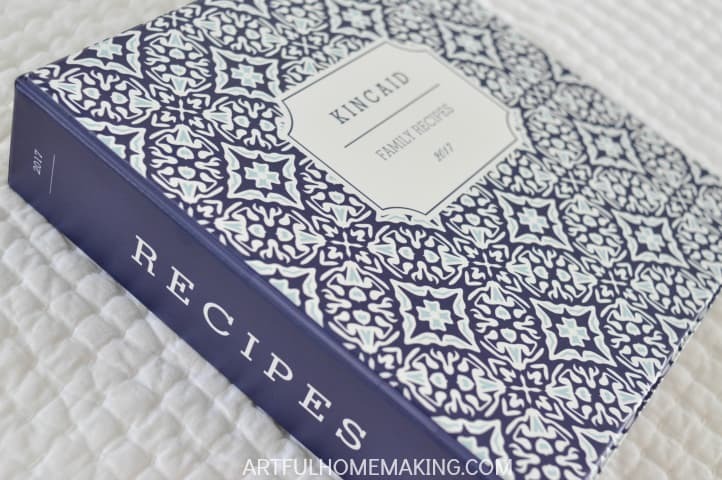 Here is my recipe binder–but I do wish it had a wipe-clean surface like yours! My photos were taken more than 5 years ago, and I’m kind of amazed that our binder is still seeming “clean enough” to keep using. I collect cookbooks 🙂 I can’t really say I ever use them but I love looking at the pictures haha It seems when it is time to try something new I always go to the internet. I never even think to look in my own cabinet. That would be nice to get those recipes more organized… we do pretty well, but could stand to improve in that area. My recipe organization always seems to be a work in progress, as we add/delete recipes. We are loving the new binder!